The trailer for "Trail Magic: The Grandma Gatewood Story," which will broadcast on WOUB-HD on Thursday, October 4 at 9 p.m. In 1967, Emma “Grandma” Gatewood became the first person to solo thru-hike the entire 2,170 miles of the Appalachian Trail. She did this at the age of 67, armed with only a bare minimum of supplies and a desire to achieve a goal. 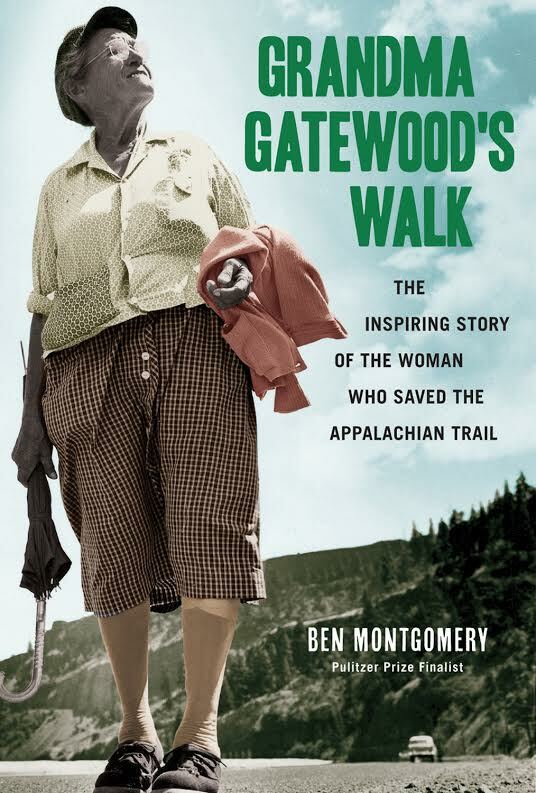 “I’m not so sure that she was walking towards something so much as she was walking away from what had been a terrible life,” said Ben Montgomery, author of the New York Times best-selling book Grandma Gatewood’s Walk: The Inspiring Story of the Woman Who Saved the Appalachian Trail. On Thursday, October 4 at 9 p.m., WOUB-HD will broadcast Trail Magic: The Grandma Gatewood Story, a documentary that explores the Grandma Gatewood story, from her origins in Gallia County, Ohio, to her lifetime of hardships, including a 30-year marriage to the viciously abusive (and publicly elected mayor of Crown City, OH,) Perry Clayton Gatewood, to her eventual stardom following the completion of her enormous hike. Montgomery, who is also a Pulitzer-prize nominated journalist, will speak about his in-depth research into Gatewood’s life and legacy for his book at WOUB’s finale event for The Great American Read, a PBS program that has been celebrating some of America’s favorite books since May. The event is free and open to the public will take place at 3 p.m. in the Baker Center Theater on Sunday, October 21. Montgomery learned of the Grandma Gatewood story in an unusual way. Throughout his research for the book, Montgomery paged through hundreds of pages of Gatewood’s trail journals, her letters, her scrapbooks, and even a four-page autobiography that Gatewood wrote. He had access to these materials through Gatewood’s surviving children, one of whom, Lucy, was a resident of Jacksonville, Florida, when Montgomery began his research. Montgomery’s book explores Gatewood’s life in its entirety, including her terrifying relationship with her aforementioned abusive husband, in a time when domestic abuse was not spoken about, let alone acknowledged as violence that should be severely persecuted and certainly make someone unfit for public office. Montgomery believes that Gatewood’s abusive marriage was a tragic, but necessary, part of her story. Gatewood’s walks were not free of dangers, however. On numerous occasions she was faced with incredibly difficult weather, including walking through back-to-back hurricanes that took the lives of over 200 people on the east coast; a rattlesnake strike; encounters with bears, and much more. It should be noted that Gatewood’s successful thru-hike of the Appalachian Trail in 1955 was not her first attempt at making her way through the entire length of the trail. “I make the argument, in the book, that those experiences were formative for her, that they shaped who she was and who she would become. Interestingly, oftentimes when her husband would beat her, (Emma) would flee to the woods to escape him, and take refuge there. If you read any of her work, you start to understand that the woods, the forest, nature, was her refuge and where she could find peace of mind. While some of us might be afraid of insects and snakes and bears, she found it to be a friendly place, which made a hike of 2,000-plus miles all the more palatable – she was having fun hiking, and that was where she was meant to be.” – Ben Montgomery, author of Grandma Gatewood’s Walk: The Inspiring Story of the Woman Who Saved the Appalachian Trail. Houts said she always emphasizes to young readers that while Gatewood did fail on her first attempt, she did spend time planning a better strategy to successfully tackle the trail less than a year later. Both Houts and Montgomery explore Gatewood’s life after her initial successful hike in 1955 in their books, and how she went on to be a big proponent of trail conservancy. On Saturday, October 13, Hocking Hills will hold its annual Grandma Gatewood’s Fall Colors Hike, which kicks off at 9 a.m. from the Old Man’s Cave Visitor Center. Montgomery mentioned that he will make sure to tackle that length of the trail while he spends time in the region close to his presentation at Ohio University.